Sri Lanka is described as the ‘Pearl of the Indian Ocean’ which has beautiful white beaches, idyllic oceans to swim in and stunning national parks. Sri Lanka should be added to any Asia itinerary, it is a nation packed with diversity in terms of things to see and do. Travel to Sri Lanka with One World 365 and search our amazing activities and trips. View travel advice on our guide including tips for places to go, the best packages available and get information about costs, accommodation, transport, health and safety and how to visit Sri Lanka on a budget. Looking to discover a true paradise? Somewhere less touristy than other countries in Asia like Thailand? Book a break to Sri Lanka. 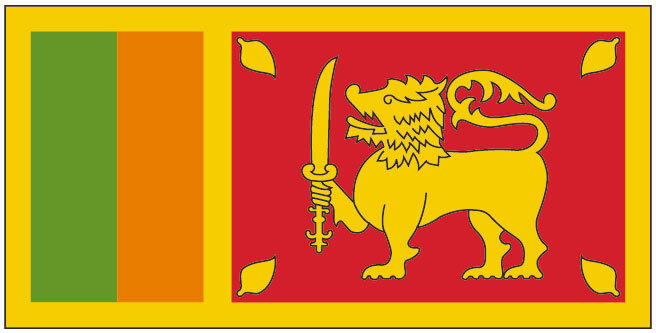 With deep roots in Buddhism, Sri Lanka is mentioned in writings as old as the Fourth Buddhist Council in 29 BCE. Since then, it has grown to be an amalgamation of ethnicities, languages and religions. Historically it has a strong connection to the Silk Road and more recently experienced a difficult civil war, which has since been put in the past. Today, the country is flourishing and growing evermore popular among international tourists. If you are researching options for getting around then travelling by public transport is the cheapest way to get around Sri Lanka but the easiest and one of the most fun experiences is to join an organised experience. There are options for all budgets with departures all year round. Flying into Colombo in the South West, you will find yourself in the heart of the biggest city, home to the capital province and the President. Hop into a tuck-tuck (local, cheap three-wheeler taxis) and head into the city near Galle Road and the harbour, where you will find the most to see and do in Colombo. On your way, you will drive past such a contrasting world. You will find large shanty communities, make-shift cricket pitches and beggars on the roads and streets, yet you will also find a brand new BMW nearly ramming into your tuck-tuck as you look up at the World Trade Centre and several commercial banks, stores and plush apartment blocks. The South West is certainly going through a lot of development in recent years, especially since the end of the Civil War. Colombo has a whole host of spectacular temples, the harbour area is home to several long streets of old shops, stalls and market places, set in a colonial mine-field of old English and Dutch architecture dating back to the times of their rule. Head down to the Galle-face where you will find a vast greensward, where the community flocks in the evening to the market stalls, to the sea and to admire the beautiful sunset that can be observed till the last moment. Close to here is the old colonial parliament, the old Dutch hospital that has been converted into a tourist hub shopping centre and even a flock of pelicans perched on the lamp posts. There is a lot to see and do here. Now, one of the best itineraries to follow is to take a loop from Colombo to the North-Eastern Central areas, south through Kandy in the hill country and then South-East through the tea country of Haputale before enjoying the South Coast beaches - working your way North to Colombo for your onwards flight. From Colombo, it is good to get the train from Fort Railway to Kaduruwela, which is just a short ride into Polonnaruwa, where you can explore the ancient ruins of the old Royal city that have been preserved. The new city has spawned south of the ruins, meaning they are set aside. The ruins are easily accessible via bicycle that can be rented for under a pound from various local guesthouses or you can hire a tuck-tuck for a fair amount to take you around the ruins. The only downside to this and several other key destinations are the entry fees which can range from ten to forty US dollars. Polonnaruwa is also set next to a stunning man-made lake where you can watch the sunset and admire the local wildlife; monkeys, storks and pelicans all live around this area. It is also the best place to head up to Minnirya or Kaudulla National Parks to go on safari - an expensive activity but one that is certainly something to think about. After admiring Polonnaruwa, it is worth heading south by bus to the sites of Sigiriya and Dambulla, where you can admire more beautiful history, architecture and the natural world. Sigiriya is a small village next to a large plateau with several thousand steps and slopes as you venture up, down and round to the top of the rock where you will find the ruins of a large palace, with its history being disputed. This is certainly one of the main sites that you should see in your stay in Sri Lanka. South of Sigiriya is Dambulla, a bustling small town where you can admire the Royal Rock Temple, which has several caves full of ancient Buddhist symbols, statues and artwork - certainly an interesting site worth seeing. It is easy to do both of these ancient cities as a day trip from Polonnaruwa or as a stop-off on your way South to the city of Kandy in the hills, the options are wide with buses being cheap, easy and frequent. Kandy is largely considered as the second city of Sri Lanka and was once a royal capital. Contrasting to Colombo, it is set in stunning wilderness in a hill top bowl with the wildlife being a major feature. The journey to and from Kandy is also a stunning site across the countryside. There is a lot to do in Kandy and is certainly worth a large proportion of your visit. Many guesthouses run tours to all the major sites, which makes life a lot easier, but you also get taken to various different places such as jewelry and tea factories and herb gardens (with high-pressure sales pitches also). The major sites include the huge white Buddha statue which is a spectacular view and great to climb up and look over Kandy. There is also the Temple of the Tooth Relic, home to a tooth of the Buddha in a gold casket, which was once an article of rule over Sri Lanka. It is a heavily guarded and sacred temple. There are also two other beautiful temples to visit in Kandy. Each evening you can watch the Kandy dancers perform the traditional dance of Sri Lanka. Nearby you can also head out to an Elephant Orphanage, home to around 60 elephants or wash elephants at a more local riverside reserve which is government run where they have under ten elephants under the care of the Mahouts. Kandy is a stunning city of opportunity and a place to really take note of Sri Lankan culture. From Kandy, the train ride to Haputale offers some of the most stunning scenery that there is to offer and is certainly worth the few pounds that it would cost. You can pay for a first class ticket in an observation carriage that provides the best views. Once in Haputale you can head to the tea plantations and Lipton’s seat, an area that was once home to the famous Lipton tea company. There are also some astonishing walks to go on and a waterfall to be trekked up, with your view from the peak of Haputale stretching all the way to the South Coast. Horton’s Plains and World’s End also provide some spectacular views, which is just west of Haputale. Here on you should get a bus or private car to the South coast, again along some spectacular, winding roads home to the most admirable views, then heading along the south coast to Mirissa. The south coast has some of the best beaches in the world and is excellent for sun bathing, swimming, snorkelling, surfing and boat rides. Once in Mirissa it is certainly an idea to go whale watching, where you can find blue whales and dolphins and among twenty or so other species. The entire South Coast is a beautiful area and depending on what you want - watersports or peace and quiet - there are several opportunities. Unawatuna was wiped out by the tsunami of 2004, with scars still present and plenty of locals to tell you various stories, but thanks to foreign aid it has been rebuilt quickly and has become a popular tourist spot for beach activities. North of Unawatuna is Galle, a large town set inside a fort - which is well worth a stay or day visit to check out the spectacular architecture and ancient designs that have been largely well preserved. This article does not do justice to the true nature of Sri Lanka and is only a small idea as to a quick yet highly-concentrated itinerary where you can really admire the most of what the island has to offer. It is easily accessible by tuck-tucks, trains and buses at prices amounting to pocket change and there are a whole host of affordable yet pleasant guesthouses in every town and village. There are many other places still to visit and many other routes than can be taken, but the true diversity of this nation can really be soaked in on this route, making Sri Lanka a nation well-worth visiting for an eye-opening and stunning experience. Tuck-tuck journeys vary, but you are looking to pay as little as 200-300 for a several kilometre journey with a hop across town costing only 50. Be warned though, you will be quoted a tourist price (about twice as much). The only downside is that electricity and petrol prices are fairly similar to that of the Western world, which is not good for the local people who earn a lot less in proportion. Train rides and buses cost between 100 and 400 rupees for journeys lasting up to twelve hours. A huge advantage to Sri Lanka is it’s largely Buddhist belief and the price of staying here. You can exchange around 180 rupees to the pound and not only is the exchange rate good, but the products and services that you can get are equally as attractive. You can stay in a decent guest house with private room and bathroom for as little as five pounds a night. There are many people that target tourists to sell you something, to offer you an experience or to tell you about the fantastic guest house that their Uncle owns. You can get large plates of curries, rice and fantastic local cuisine for between 150-250 rupees and a bottle of water for only 50. Try and steer clear of accepting any offers, but again, a local guide book will be very good in telling you how to control these situations and the proper way to do things. Sri Lanka is a very safe country, most people you encounter might only have limited English but they will be very friendly. You might want to check needed vaccinations months before you depart, we recommended you check for Hepatitis A/B and Typhoid. If you are going to spend time in more rural areas you might want to be covered for Rabies and Japanese Encephalitis. Some people are very religious and you will need to know local laws and whats expected from you as a responsible tourist, for example taking shoes off when entering a temple. Sri Lanka is one of our top rated destinations if you are seeking to experience a different culture and also see spectacular places in your spare time. There are stunning beaches, friendly locals, exotic wildlife and also lots of incredible gap year travel programs available to join all year round. Sri Lanka is a very safe region of the world to visit on a gap year, it is very rare to hear of any problems with tourists but research local customs and dress respectably. 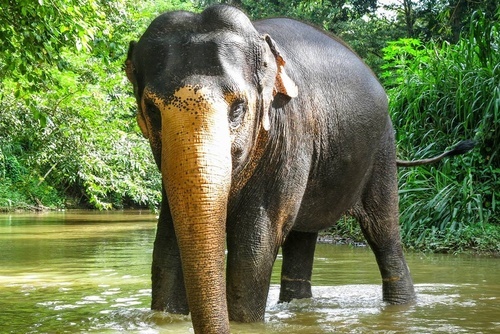 Where you go and what you do really comes down to personal choice, we highly recommend booking a tour, working with elephants in Sri Lanka or volunteering with sea turtles. One of the best things about taking a gap year in Sri Lanka is the great value for money compares to other destinations in Asia and worldwide - the price of sightseeing and accommodation is very cheap. Booking a tour is one of the most popular ways to explore Sri Lanka, you will travel in a group with an experienced guide seeing the highlights of the country. Explore Sri Lanka and see the best places on a cutural trip circling the country. Sri Lanka is a very small country in comparison with others in Asia but there is so much to see here, joining this tour is a great way to learn more about Sri Lanka and get taken to some spectacular sights both on and off the beaten track. On tours you will get to relax on beaches, go cycling and explore ruins, join a trekking excursion and visit incredible locations. 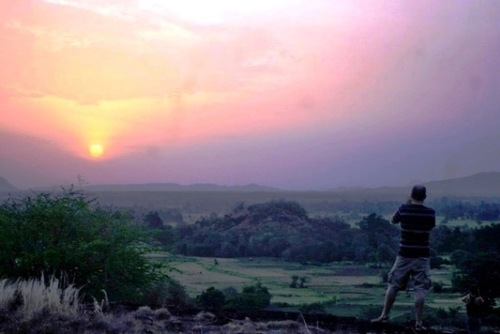 You will get to meet new people, see new places, get close to exotic wildlife and go off the beaten track. Tours are led by experience guides and you will get a really authentic experience away from the tourist crowds. Expect ancient history, temples, tasty food, lush jungles, beautiful scenery and also exotic white sandy beaches. Explore Sri lanka off the beaten track on an amazing cycle tour. These trips take you on an intoxicating and exhilarating self-propelled experience of Sri Lanka’s most breathtaking sites and scenery. Highlights can include visiting secluded temples overlooking rice paddies, tea plantations, traditional villages, and fields of cinnamon, rubber, cashew nuts and bananas. Sri Lanka is full of wildlife ranging from monkeys and mongooses to monitor lizards and peacocks. There’s no better way to get up close to the local wildlife than on a bike. Some tours start and finish in the historic port of Galle, with its UNESCO World Heritage Fort, before heading inland to the hills and looping north then east into the unspoiled countryside before returning via beaches and lakes to the start point. Get on your bike and explore some of Sri Lanka’s most amazing and unforgettable locations! Sri Lanka is blessed with amazing nature and wildlife, on a wildlife safari in Sri Lanka you might get to see cheetahs, elephants, bears, big cats and monkeys. We have short and long term safaris available to book from the leading local and international operators. Join a Sri lanka trekking tour and explore some of the island's most amaxing and unforgettable locations. Fully guided and supported treks are available throughout the country where you can visit places like the beautiful Knuckles Mountains east of Kandy. Sri Lanka trekking expeditions allow you to explore beautiful destinations like the Knuckles Mountains east of the UNESCO World Heritage city of Kandy. Trek through tea plantations, rice paddies, mountain forests and past beautiful shrines and ancient temples. Nights are spent in comfortable campsites amidst spectacular scenery. You will get to relax and enjoy trekking with just a light daysack, as your tour operator takes care of the rest. These trips are usually all-inclusive with accommodation in homestays and fixed campsites. Guests’ baggage is carried between campsites, allowing them to trek 12-16 km per day with just a day pack. Expert local guides will ensure you get the most from this amazing trek.